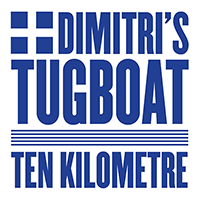 Test your sea legs on Dimitri's Tugboat, a 10k loop in honour of Cambie's fastest ship designer, Dimitri Mylonas. 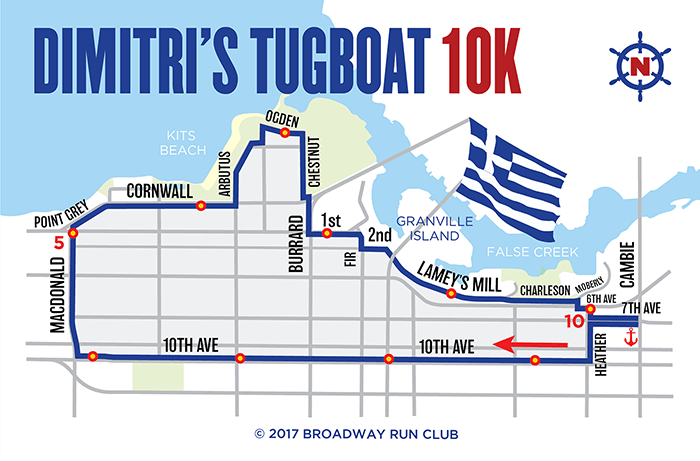 Dimitri’s Tugboat is a quick cruise out to Kits Point named in honour of Vancouver’s fastest naval architect — and the fastest Greek at the 2017 Boston Marathon — Dimitri Mylonas. 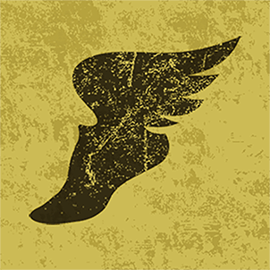 The route follows the road section of Kits Point featured in both the Vancouver Marathon and the Scotiabank Half Marathon, so it’s a great little training run for either of those races. For a slightly shorter version of the route, skip the Kits Point section by continuing on Cornwall to Burrard.